The 30th anniversary of the Irish Hunger Strike was excuse, if excuse were needed, for a showing of the excellent Les Blair film H3, written by former Hunger Striker Laurence McKeown and ex-prisoner Brian Campbell, and filmed in the H Blocks of the Maze prison in the North of Ireland, screened at the Writing on the Wall festival with Séanna Walsh. H3 was made nearly a decade before Steve McQueen’s Hunger (though McQueen was ignorant of the existence of H3 - at the premier of Hunger it was believed that Hunger was the first time that the Hunger Strikes were the subject of a film, as Seanna Walsh pointed out after the screening). Whilst McQueen’s film is the more celebrated of the films, H3 is in many ways the superior - there were also two other films made about the Hunger Strikes before Hunger: Some Mother's Son directed by Terry George in 1996 and Il silenzio dell'allodola, by Italian film director and scriptwriter David Ballerini in 2005. The reason for this is that there is a greater understanding of the circumstances and the issues that led to the Hunger Strikes. There are no scenes of polemical discussions that feature in many of Ken Loaches’ films for example and the use of cinematic devices, such as flashbacks, are kept to a minimum. Blair had enough confidence to let the story tell itself, though that is not to say that the film is a balanced view of events. As Blair said at the time of H3’s premiere: “The problem was about giving a more balanced view. Balance kills drama. The film is written by ex-prisoners and was going to be from a prisoners' perspective." (The Guardian, 14 July 2001). The film begins with the arrival of a new prisoner, 19-year-old Declan (Aidan Campbell) at the Maze, where the inmates have already been on the "blanket" and "dirty" protest for more than three years. He is ‘padded’ up with Seamus Scullion (Brendan Mackey), the man chosen to select the names of his fellow prisoners in the H3 prison block to replace those hunger strikers whose strike came to an end. As it would be expected, the narrative of H3 is grim, but not without its moments of sheer humanity. In an early scene Declan is being introduced to the other inmates after they have been banged-up for the night. He is asked to sing a song, and much to the bafflement of the fellow prisoners, he gives a rendition of the Undertones’ song ‘My Perfect Cousin’. Later in the film, after the inmates had been set upon by the riot squad, Scullion, sitting in his cell, battered, starts singing ‘A Nation Once Again’, which is then taken up by the rest of the prisoners. In other hands this sort of thing would come across as corny. However Les Blair has succeeded in capturing a realist portrayal of the physical degradation of a group of people and in doing so shows us, without any pretention, that the last thing to go from humanity is the spirit. And it is the spirit, brought about by the treatment of Catholics in the Six Counties as second-class, the brutality of the day-to-day condition of a community under siege by the British state and ultimately the brutality experienced by the prisoners at the hand of a Loyalist prison regime, that the film succeeds in portraying: the belief that these men were right in making a stand against the British state; it is this that makes H3 a far greater film than those that followed it and take up the same subject. However much we would like to ‘feel’ for the men, very few of us have been pushed into such de-humanising circumstances, and we are left horrified by the fact that a so-called civilised country, such as Britain, could allow a situation like this to happen. But it was the death of the Hunger Strike leader, Bobby Sands that created the greatest world outrage. Whilst still on Hunger Strike Sands stood for the seat of Fermanagh and South Tyrone after Frank Maguire, the Independent Republican MP died suddenly of a heart attack, precipitating the April 1981 by-election. Sands narrowly won the seat, with 30,493 votes to 29,046 for the Ulster Unionist Party candidate Harry West. Reaction to the death of Bobby Sands was widespread and though there was mixed reaction in the US media, the White House issued a statement of ‘concern and regret’ (diplomacy for: “We do not approve”). However the film does have two major omissions. Whilst there is some talk of the 'Thatcher government’ there is no mention of the fact that it was a Labour government who, in 1976, withdrew political status for those convicted of ‘terrorist’ offences in Northern Ireland. Political status for Republican (and a handful of Loyalist) prisoners had been a concession won by the Republican movement from the Conservative government in 1972. But the Labour government get no mention in the film at all. For younger people than I, this may prove confusing as we are left with the impression that the war in the Six Counties was conducted by a Tory (Thatcher) government. Which leads to one of the most surprising omissions from the film: the visit to Bobby Sands by Don Concannon who was a junior Northern Ireland Minister under Merlyn Rees from 1974 until 1976. 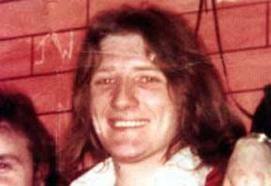 Concannon met with the dying Bobby Sands in 1980, when Labour were in opposition, to inform him that he and the Labour Party, supported the Conservative government’s refusal to meet the Hunger Strikers’ demands. These omissions could not have been accidental. The Labour Party’s attitude towards the Republican movement was common knowledge and one can only conclude that Sinn Féin, at the time, the political voice of the IRA, still held to some illusions about ‘socialism’ in the Labour Party (a view not helped by the fact that many of the left-wing organisations in mainland Britain also had the same, long-held belief). That said, H3 is a powerful film and stands head and shoulders above many ‘political’ films for its portrayal of people in struggle against repression. The evening was split into two and in the second half former political prisoner, Chair of the Republican ex-prisoners group Tar Anall, Sinn Féin organiser in West Belfast and head of its Irish language department, and current Sinn Féin organiser, Séanna Walsh led a discussion. He opened by saying something in Gaelic which seemed to fall flat as there was no reaction from the audience. He then spoke about how difficult it was for him to watch H3 and for the next 10 minutes or so he seemed to be viewing the audience as a group of therapists. In the last five minutes of his introduction to a Q&A he spoke of how important the Hunger Strikes were in bringing about the peace process, kick started in 1985 by the Anglo-Irish Agreement. The Q&A had a very surreal atmosphere to it. The first member of the audience said something in a language I presumed to be Gaelic (Walsh was looking very puzzled whilst the audience member was engaging in what seemed to be an older persons ‘gangsta’ speak). Other people spoke about how moving the film was. It was when another audience member asked how a film about men with strong political convictions could have any relevance to young people today, growing up in a time when narcissism, such as the slogan ‘not in my name’, is taken as the height of political consciousness. At first Walsh seemed hesitant but then spoke about the political struggles that were still happening around the world. What was strange about his response was that he touched on the Palestinian situation but didn’t mention the revolts taking place in Arab and North African countries. Someone else asked about decision-making in the Maze at the time of the Hunger Strikes and Walsh spoke about how everyone was consulted and actions were debated before being implemented. There was also some discussion about the armed struggle and this gave a very revealing insight into how Sinn Féin seem to be engaged in a process of re-writing history. Whilst re-emphasising the importance of the Hunger Strikes in pushing the peace process onwards, the armed struggle was downplayed to the point where it seemed to have no relevance whatsoever. Whilst rightly condemning the splinter groups such as the Real IRA for taking it upon themselves to take military action without any mandate, Walsh went on to dismiss the armed struggle prior to August 1994, when the IRA announced "a complete cessation of military activities". Not only is this disingenuous to those men and women who put their lives on the line in the war against the occupation of the Six Counties by the British state, but it is symptomatic of the style over substance politics prevalent today. For two decades the IRA waged a military war against the British state. What is also noticeable, if one compares the Irish war years to today’s reaction to terrorism, is the stance of the British government - particularly the hard-line stance taken by the Thatcher government that there would be no giving in to ‘terrorism’. Although there were calls for members of the public to look out for ‘suspicious packages’, the reaction of the British government spoke of confidence in what they believed in and a certainty of purpose. The IRA were a sophisticated and disciplined guerrilla movement, and their militaey campaign had a reasonably clear political aim - a united Ireland free of British rule. Compare that to the reaction to the seemingly aimless actions of the likes of the ‘shoe bomber’ or the suicide bombings in London in 2005. What we saw was a government with no sense of purpose, unable to do anything except knee-jerk reactions contributing towards what some describe as ‘The Politics of Fear’. Whereas previous governments tolerated the portrayal of Irish people as ‘thick’ or ‘murderers’, the reaction to 7/7 had government calling on the media to tone down any language that could be seen as racist or ‘Islamophobic’. Throughout the war years, the military wing of the Republican movement, primarily through the Provisional IRA, were in the ascendency whilst the political wing, primarily through Sinn Féin, were largely there there to maintain the mandate for that military action, through propaganda and standing in elections. Its programme had a strong focus on local issues and as such, the ultimate aim of a united Ireland was less immediate. Whilst the Hunger Strikes proved a grave embarrassment for the British state, it reflected something of a stalemate for both sides who seemed to have exhausted most of their options. The bombing of the Grand Hotel in Brighton on 12 October 1984 by the IRA, struck at the heart of the Establishment where Thatcher and her cabinet members were holding their party conference. Less than a year later Thatcher signed the Anglo-Irish agreement. The Brighton Bomb was a sharp reminder to the British establishment of its own vulnerability and added to the instability that Britain faced from the miner’s strike and inner city rioting - one of the backdrops to the Writing on the Wall festival. The degeneration of politics across Western democracies since the colapse of the Berlin Wall and the Soviet Union, was perhaps the bigger backrop to the peace process. The peace process has seen Sinn Féin take a central role, though probably more the case that Sinn Féin's partners have no big vision for a future and have scaled down their ambitions to the level of local politicking. Recent events, particularly in Libya, have shown that people are still prepared to take up arms against oppression and will put their lives on the line for the cause of freedom and whilst those people may lack a clear political direction, there are actually few barriers to stop a movement, with clear political demands, arising out of the struggle. 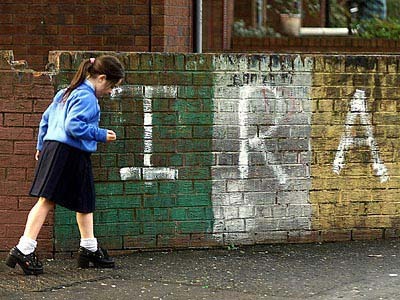 It is worth remembering that after the Wilson (Labour) government sent troops into Northern Ireland in 1969, the graffiti on the walls of Belfast was IRA=I Ran Away. It was through the struggle against the British backed Loyalist state that the nationalist community realised that there was no political solution and forced the IRA into waging a military campaign. Editors Note: Whilst we're on the subject of uprisings, the Manchester Salon is organising a discussion entitled The struggle for democracy in the Middle East and Africa, where Karl Sharro will introduce this discussion of recent developments and asking whether the Arab movements can survive western intervention? Tuesday 07 June.